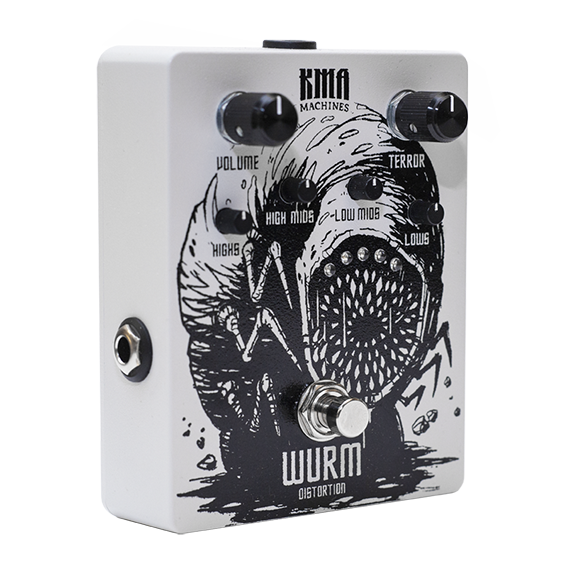 KMA Audio Machines will bring you the legendary distortion sound of the out of production HM2 MIJ model. Its sound was a key element of the swedish chainsaw metal invented by Bands like Dismember and Entombed. We took the ingredients and developed a way more flexible distortion pedal. We kept the classic active EQ section and added two more bands to give you a wider range of tones to tailor your evil and gritty distortion sound. Each band has an internal trimpot to change the center frequency and fine-tune your sound. To switch between the original HM2 high control and the KMA Audio Machines designed EQ band, we added an internal DIP SWITCH. Switch 1 activates the WURM EQ High Mids Mode while switch 2 is in off position. To get the HM2 chainsaw high mids put switch 1 in off position and switch 2 in on position, crank the LOWS and the HIGH MIDS to hear the chainsaw. Activating switch 1 and 2 gives you then three bands, which are controlable via the HIGH MIDS control. TERROR dials in the malice and evil distortion sound you are searching for! 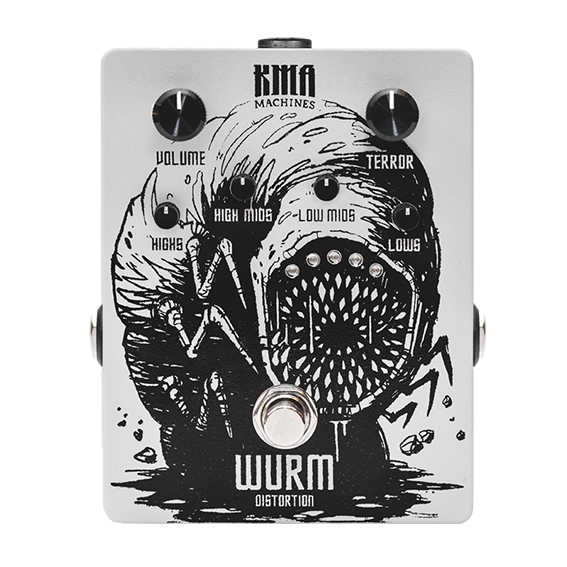 Crank it and you will feel the rageous ancient WURM. Each EQ has a trim pot to shift the center frequency of the bandpass. Shifting the center frequency changes the bandwith of the bandpass. That means, when you raise the center frequency the bandwith will increase and vice versa. The internal DIP SWITCH will activate/deactivate the classic HM2 EQ for the HIGH MIDS to get the swedish chainsaw sound or the HIGH MIDS WURM EQ for total control and fine tuning of your tone.